Stick To Your Guns, Unplugged? One of the most honest things a musician can do is sit behind an acoustic guitar and just let the music flow. Not many artists can do this these days with technology becoming an evermore prominent force in the music industry. 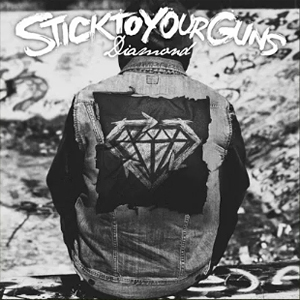 Recently the band Stick To Your Guns released their new album Diamond. One of the more interesting things to come out of the whole process was a performance of the single “We Still Believe”. The song is performed by Jesse Barnett who usually only takes on vocals but in this instance he handles both vocals and guitar with relative ease. Barnett’s vocals are rough in spots, but hey it seems to have been done in one take. I don’t know which version of the song I like better, but I like the acoustic version more and more daily. I think it’s so awesome to hear a band like this strip down their sound to just one guitar and one voice and sound so good. I think it sends a message to the rest of the music world that says a good song can be presented in many different ways, and as long as the artist is honest, then they’ll succeed. And succeed they did! Thank You for the kind words! We update daily, so come back often!